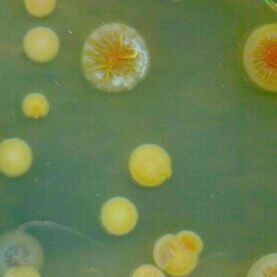 The majority of clinically important antibiotics that are used to combat bacterial infections are derived from actinomycetes. In addition to antimicrobials, these organisms produce numerous enzymes for medical and technical applications. My team investigates how we can improve growth of these prolific bacteria for industrial applications. We therefore focus on cellular and physiological heterogeneity . 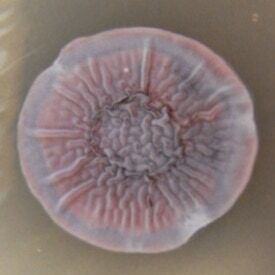 Heterogeneity is observed between clonal mycelial particles, between different zones of colonies, between adjacent hyphae and even between adjacent compartments of individual hyphae. By dissecting the mechanisms underlying heterogeneity we aim to identify new targets to improve the exploitability of these bacteria as cell factories in the biotech sector. ▪ B. Zacchetti, H.A.B. Wösten & D. Claessen (2018). Multiscale heterogeneity in filamentous microbes. Biotech Adv 36: 2138-2149. ▪ G.J. van Veluw, M.L.C. Petrus, J. Gubbens, R. de Graaf, I.P. de Jong, G.P. van Wezel, H.A.B. Wösten & D. Claessen (2012). Analysis of two distinct mycelial populations in liquid-grown Streptomyces cultures using a flow cytometry-based proteomics approach. Appl Microbiol Biotechnol 96: 1301-1312.